Heidi's Saxon/Hart team started the #BlankCancer initiative, a campaign that has taken over Facebook, Twitter, and Instagram in order to raise awareness and generate funding to assist cancer patients across the country simply by "filling in the blank." We had the opportunity to talk with both Heidi and Will about their #BlankCancer story. Meet the 19-year old student who may cure colon cancer. 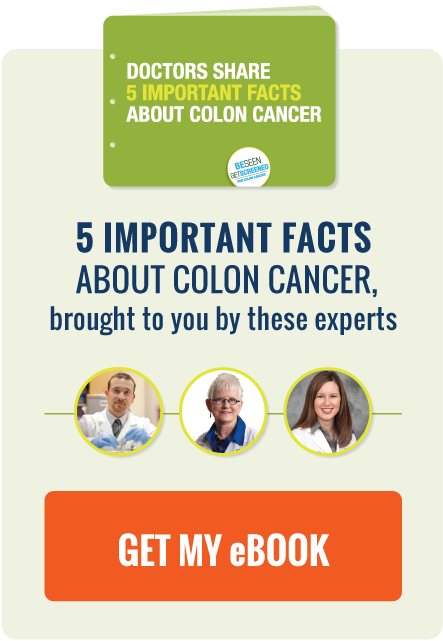 Each month, Be Seen, Get Screened features a member of the colon cancer screening community that has gone above and beyond to spread the word about colon cancer and the importance of screening. We call this Q&A session our "Hero of the Month" feature. April’s Hero of the Month highlights the inspiring work of a dedicated spokesperson in the fight against colon cancer. Michele Battista has worked for years to raise colon cancer awareness through her participation in countless events with organizations such as Colon Cancer Alliance and Relay for Life. Her achievements are numerous and impressive, and she shares her story with us below. Each month on the Be Seen, Get Screened blog, we feature a hero in the colon cancer screening community in our Hero of the Month Q&A. You can find old Hero of the Month posts on our old blog at exactsciences.com. Kitt Shapiro has devoted her career to colon cancer awareness as a tribute to her late mother, the legendary American singer-actress Eartha Kitt. She was kind enough to provide answers to our questions, which you can find below.